Angola’s National Plan for Health 2012-2025 (Plano Nacional de Decenvolvimento Sanil – PNDS 2012-2025) has highlighted the lack of a comprehensive and strategic supply chain plan as a key challenge to access pharmaceuticals in Angola. Ministry of Health (MOH) key players and local supply chain stakeholders have since called for the development of a national supply chain strategy in line with the PNDS 2012-2025, that would inform on priority gaps in the supply chain system, recommend locally appropriate interventions to address the gaps, and strengthen Angola’s health supply chain system. Over the past three months, SIAPS Angola has collaborated with and provided technical assistance to the MOH and local supply chain stakeholders from various public and private sector organizations to implement a phased strategy development process. This has involved convening high-level meetings with key stakeholders such as local NGOs, international development agencies, UN agencies, and private sector representatives to obtain their buy-in and mobilize their support. 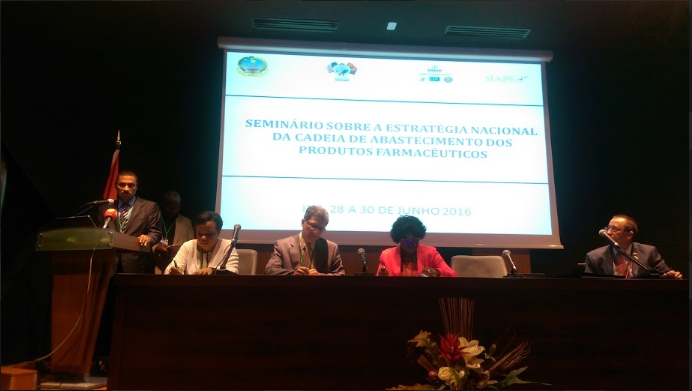 On June 28-30, 2016, SIAPS Angola collaborated with the MOH and other government sectors to facilitate a three-day workshop to develop the strategy. 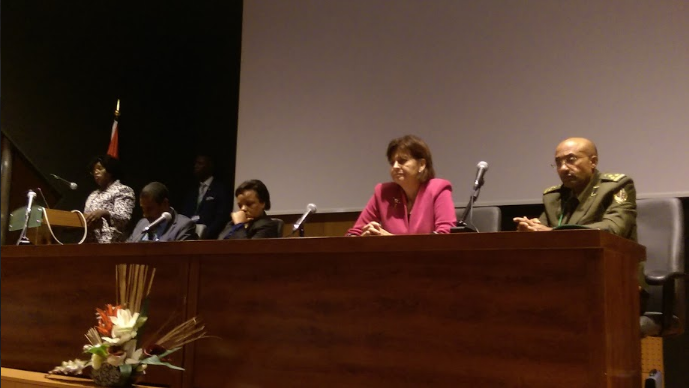 Dr. Constantina Perreira Furtado Machado, the Secretary of State in the Ministry of Health, and Dr. Hernando Agudelo, the WHO representative in Angola, opened and closed the workshop. Helen Meagher La Lime, the US Ambassador to Angola, and other high-ranking officials from USAID Angola also participated in the closing ceremony. The workshop was attended by all key national stakeholders who are directly involved in health commodities supply chains at the country level, including representatives from different departments and agencies in the Ministries of Health, Finances, Trade, Industry, Transport, Defense, and Interior; private-sector companies; United Nations agencies; USAID; and the Global Fund Country Coordination Mechanism, to secure their buy-in during strategy development and implementation. There was a high sense of local ownership of the activity, and local facilitators and participants contributed with high enthusiasm in group and plenary discussions throughout the workshop. Once it is finalized, approved and officially launched, this strategy will serve as the principal guiding document for better planning and the effective alignment of financial, technology, and human resources to improve the overall performance of health commodities supply chains in Angola. Stakeholders, including donors, have expressed continued support for the implementation of the strategy.